Take, for example, the story of Michael Balter, whose mini-memoir is titled “I Might Have to Kill Vietnamese People”. Describing himself as a Goldwater Republican until his freshman year at UCLA in 1965, Balter radicalized for the same reason I would at the New School the same year and for the same reason: Vietnam. After getting involved with the antiwar group on campus as a contributor to the antiwar newspaper Aardvark, he quickly learned that PLers were key players. Joining PL naturally was the next step for him. Despite his gung-ho attitude as a Maoist revolutionary, he did not have the same gung-ho enthusiasm for going into the military. When facing the draft, party leaders told him that it was his revolutionary duty to go in as if a handful of PLP’ers could have the same effect as Bolshevik propaganda did on the Czarist army in 1917. Balter told them “If I go to Vietnam, I might have to kill Vietnamese people”, hence the title of his piece. Their response was to ask if he was a pacifist, a non-sequitur intended to question his devotion to the cause. What really was the case was that by 1970 the GIs were very open to the antiwar movement. They were either antiwar or didn’t want to get killed in Vietnam. I’m a witness to the fact that there was a deep and broad receptiveness to the antiwar message among the GIs who were mostly working class, white, black, and Hispanic. You would think that being a communist in the military is something you would want to hide, but it was really like a novelty to people. I was an excellent cook. If you’re a good cook in the army, you can do no wrong because the next meal is all anybody has to look forward to. I talked to people all the time about politics. Being in the army was probably the most wonderful time in my life as a political person. This was the one time, the one experience that I had actually doing what I was supposed to be doing in PL, which was building that base in the working class, all that I had joined the party for. That was the one time that I was really doing it and it was really working. 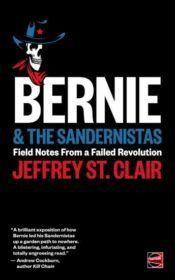 Each of the 23 contributors to “You Say You Want a Revolution” has a blurb after their mini-memoir that describes life after PL and/or the WSA in a few sentences. Michael Balter is described as a freelance journalist whose work focuses on anthropology, mental health and sexual harassment in the sciences. Reading this made me wonder if he was the same person I had contact with a little over a decade ago when I discovered that he had written a takedown for the prestigious Science magazine of Jared Diamond’s New Yorker article that claimed Papuan New Guinea tribesmen were engaged in a “revenge war” At the time, I was writing the same kind of rebuttal to Diamond (but obviously with a lot less expertise) for Rhonda Shearer’s website. She was Stephen Jay Gould’s widow and a fierce defender of the people Diamond had defamed. I got in touch with Balter and we had an enjoyable meeting over lunch. It was no coincidence that an ex-Maoist and an ex-Trotskyist had taken up a different kind of cudgel 40 years after departing “Marxism-Leninism”. Every single contributor to Levin and Silbar’s book has kept up with the left even if the revolution we dreamed about never came to pass. Another example of that is John Levin’s own mini-memoir. He writes: “After I graduated [from Columbia] in June 1966 my plan was to head for San Francisco, the city of my dreams, where I would live in North Beach, hang out at the jazz clubs on Fillmore Street, attend poetry readings at Ferlinghetti’s City Lights Bookstore, and listen to Lenny Bruce at the “hungry i.” My role models were not Che Guevara or Chairman Mao but fellow Columbia alumni Jack Kerouac and Alan Ginsberg.” This describes my own goals in 1965 after graduating from Bard College as I headed out to San Francisco to write poetry, take LSD, and see God. Within two weeks of landing there, the newspapers were filled with headlines about LBJ’s escalation of the war in Vietnam. So, I headed back to New York to figure out how to get a student deferment. If it hadn’t been for Vietnam, I’d probably have ended up as an obscure poet and existential liberal. Life has a way of playing tricks. As I read through “You Say You Want a Revolution”, I was struck by how life in the SWP and the PLP/WSA was so alike. They worshipped at the altar of Mao Zedong while we at Leon Trotsky’s but other than for that, we were focused on opposing the war in Vietnam. They were stronger on the campus; our priority was the mass demonstrations against the war. They were straight-laced just like us. Marijuana and other drugs were a no-no; we drank beer or cheap wine to get high. And, most importantly, nearly every one of these Maoists came to the same conclusion as most of us who have left the SWP, which at one point in the 1980s an ex-SWPer working with me on Central America issues described as the largest group on the left: ex-SWPers. We opposed sectarianism and cult behavior. To understand how the Maoists who left SDS to join Mike Klonsky or Robert Avakian’s cult-sects lost their way, there is Max Elbaum’s “Revolution in the Air”. Peter Camejo’s “North Star: A Memoir”, my dozens of articles influenced by Camejo, and those by Bert Cochran and Harry Braverman try to do the same thing for the Trotskyist movement. There is an urgency to rebuilding a revolutionary left in the USA. I am not sure what most of the contributors to “You Say You Want a Revolution” think about this but I am as angry as I was in 1967 when I decided to join the SWP. Back then, revolution was in the air as Max Elbaum put it but today it looks much more like counter-revolution. Perhaps continuing to advocate the need for socialism (and not the Swedish model) is a Quixotic endeavor but I’d rather tilt at windmills than resign myself to making peace with the capitalist system. Unlike the 1960s, the threat of a Sixth Extinction is deadly serious. There is a categorical imperative to resist the despoliation of the environment, the relentless drive for profit, the growing nuclear weapons threat, and a neo-fascist movement that nobody ever would have considered possible 50 years ago. To prepare for the future, it is necessary to understand the past. In the same way I read about the CIO struggles of the 1930s when I was a young Trotskyist, I urge young people today to read “You Say You Want a Revolution: SDS, PL, and Adventures in Building a Worker-Student Alliance”. It will arm you for the inevitable showdown with the ruling powers of the most vicious capitalist state in history.